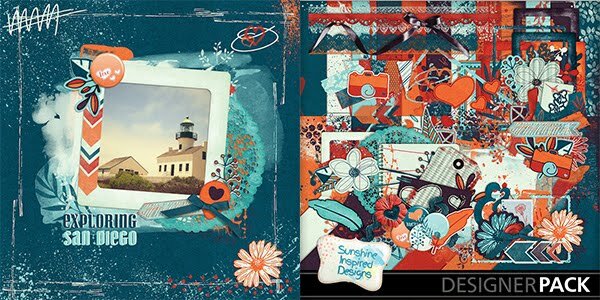 Hi there, I'm Ania, the designer behind Sunshine Inspired Designs. 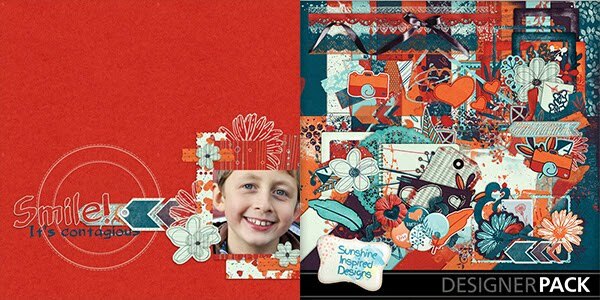 And I'm here to share with you my favorite scrapbooking tips. Sometimes when I work on my layouts I find that the journaling or the page title doesn’t stand out. It’s missing depth, missing dimension. I’m not talking about the content of the journaling or the title. I’m talking about the look of it, how it fits on the layout, or if it grabs the viewers attention. When using an alpha set the easiest way to add dimension is to use shadows. Most of the time it is enough, but when using fonts it is a totally different story. Sometimes the font you chose – although it has the perfect look and matches the style of the layout – is still missing something. It just looks flat. Sometimes it is just a matter of recoloring. But there are days when you just know the color is perfect, but it still doesn’t look right. In that case, I always like to play around and see what works. 1. 3D look - Duplicate your text layer, move your new layer underneath your main text layer, then moving the lower layer few pixels diagonally to add more of a 3D look. Using black or white on the bottom layer will definitely make your text stand out, but don’t limit yourself to those two colors. Experiment and have fun with it. 2. Add a stroke - Another way to make your letters stand out is to add a stroke (outline) to your text. It is very easy to do and can make a big difference. I use this technique when the font or alpha is too thin and hard to read. Play around with colors and choose one that works best for you. 3. Use styles - Nowadays, there are so many amazing styles out there that will add that special touch to your lettering. You may have to look for them in the Commercial Use section but it's worth it. 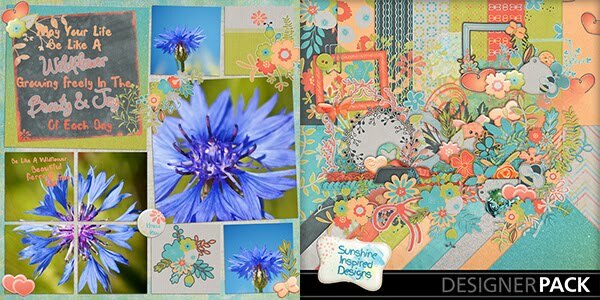 Now that you read all these fun ideas join me in the Sunshine Inspired Challenge in the forum and create a layout using one of these techniques and a kit from Sunshine Inspired Designs. 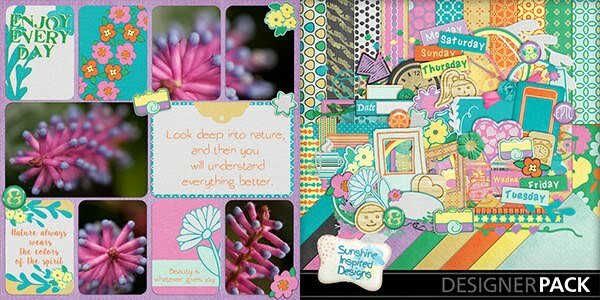 Everyone who post their layout by the due date will receive a product of your choice from SID's store up to $3 value.